BashQL is a set of tools written in Google Go that lets you build queries against CSV files. Instead of creating a big program, with a lot of options, BashQL consist in a set of small programs that, following the UNIX philosophy, do one and only one thing, and do it well. The programs works like filters, that receive the standard output from the last program. Because of that, they can be used easily with other UNIX programs, like cat, wc, Bash scripts, etc. It was written for the course of Advanced UNIX Programing, taught at UCR in 2014. Ion is a small web framework for Go that I started for other personal project, because I wanted a higher level of control, and easy of use than what other frameworks provide. With Ion is very easy to get started, just use standard net/http handlers. For more advanced features Ion provides you with a shared context, middlewares, session management and a very simple "View Controller" framework (bring your own models). It should be said that Ion is a work in progress, and that right now I could break things without warning, but it works, and I'm using it in a not so small personal project succesfully. GopherPaint was my submit for the GopherGala hackaton. It allows you to transform a image to several paint styles. It uses Google Go to transform the images in the moment that you visit the page (I'm using the cheapest available instance, so if it hangs please refresh the page). These are some of the projects in which I have participated. 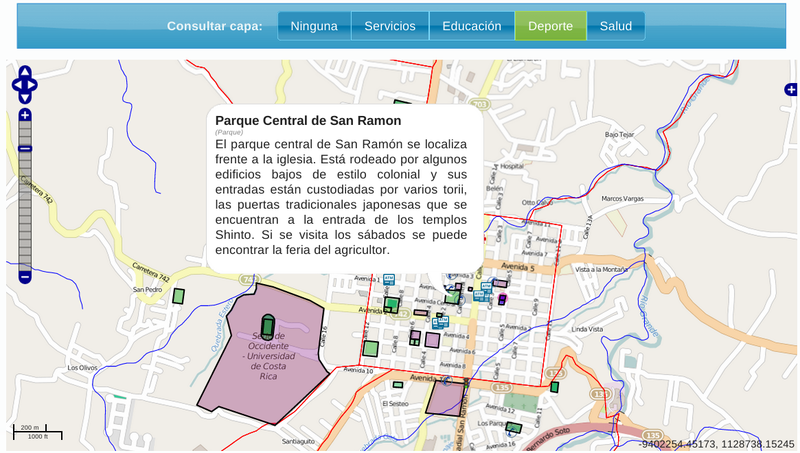 This is a virtual map with some zones of San Ramón. It was made in 2011 for the course of Geographic Information System at ITCR, with Rackel Barrios Elizondo. A car for the course of Digital Circuits at UCR. 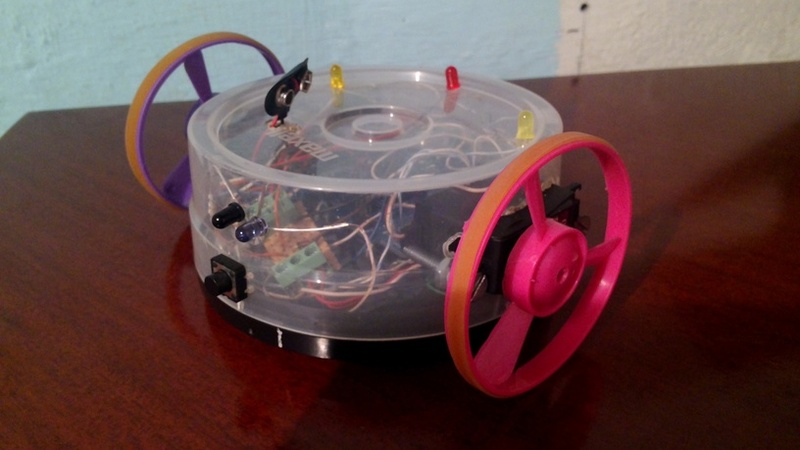 It can detect obstacles using a IR sensor, detect colors, etc. This is a LAN chat made in Java. It discovers another peers in the LAN with broadcast, and can chat with one or more peers in the LAN. Uses JavaFX. A very simple billing system made with HTML, PHP and MongoDB. I also use AngularJS, Twitter Bootstrap and Silex.